Grapes have arrived at wineries across the Valley and that means it's time to crush and make delicious wine. Wine lovers now have a chance to have a sip of wine and help make wine. At Cru Winery, the grape crushing has begun to make wine, and this weekend, hundreds of wine lovers are expected to turn out at the sixth annual Grape Stomp. At the event, teams will face off and crush grapes with their feet. On Saturday, September 26th, the public is invited to celebrate the 'stompin' of the grapes' at Cru Wine Company. 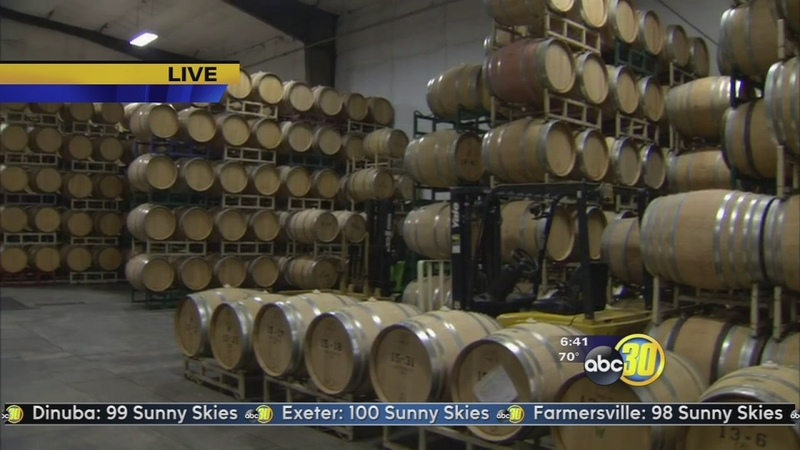 Wine lovers now have a chance to have a sip of wine and help make wine. Team sign up begins at noon, with the first heat at 1 p.m. Tickets are $40 for members and $45 for the general public on September 1st, until tickets sell out. A fun fact, it takes one ton of grapes to make 75 cases of wine -- so there's a lot of crushing that will take place at Cru in the coming days.